There are a lot of reasons to like the 2017 Acura ILX, from its sporty driving dynamics and stylish looks to its reputation for reliability and value. In fact, U.S. News notes that it “has one of the lowest base prices in the class.” Drivers in Peoria will also be excited to see that this small luxury sports sedan also comes with a variety of standard and available high-tech features. Check out the 2017 Acura ILX technology features here, as well as the available offers at Acura of North Scottsdale. In order to let you take full advantage of the many entertainment features offered on the Acura ILX, there is also an available ELS Studio® Premium Audio System, which comes as part of the Technology Plus package. Complete with 10 speakers, this system boasts genuine surround sound, low distortion, an extensive range, and crystal clear sound that’s accessible to everyone in the cabin. 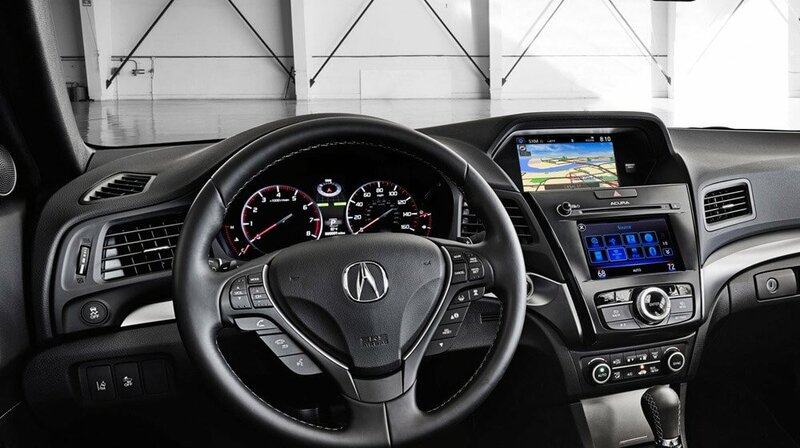 There are two different navigation systems offered on the Acura ILX, beginning with the iPhone navigation app that comes as part of the Premium package. If you decide to step up to the Technology package, then you’ll get an integrated, hard-drive based navigation system, giving you easy turn-by-turn GPS directions without the need to access your phone’s data plan. Finance the 2017 Acura ILX Today! Are you ready to get connected in the 2017 Acura ILX? Come take this sporty sedan for a test drive today at Acura of North Scottsdale, serving drivers throughout the greater Phoenix area at 7007 E. Chauncey Ln in Phoenix, AZ. We’re open seven days a week, and you can contact us online or call us at (877) 704-2064 with any questions about ILX inventory.